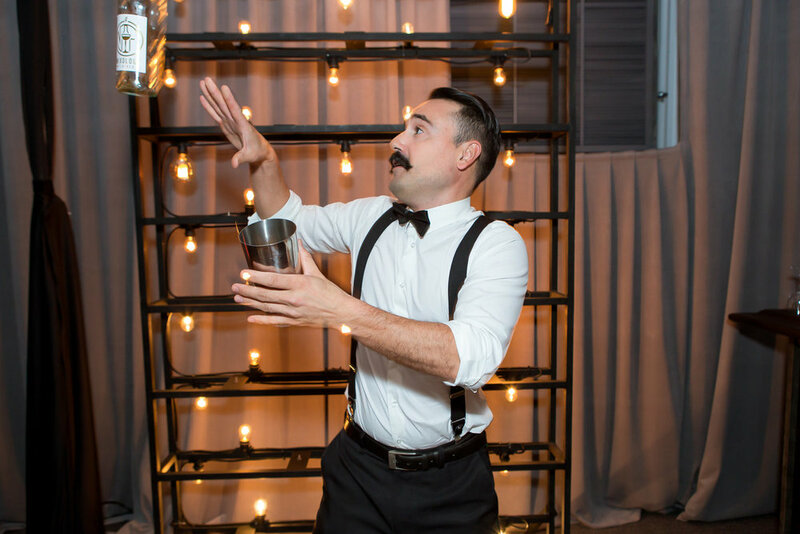 This year we went back in time and created a Modern Speakeasy. 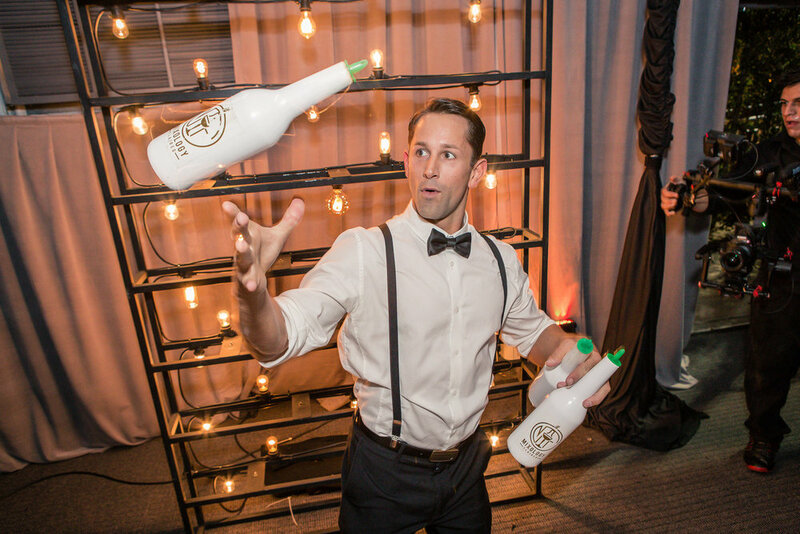 The event was held at Hotel Maya in Long Beach and we wanted to do something completely different. 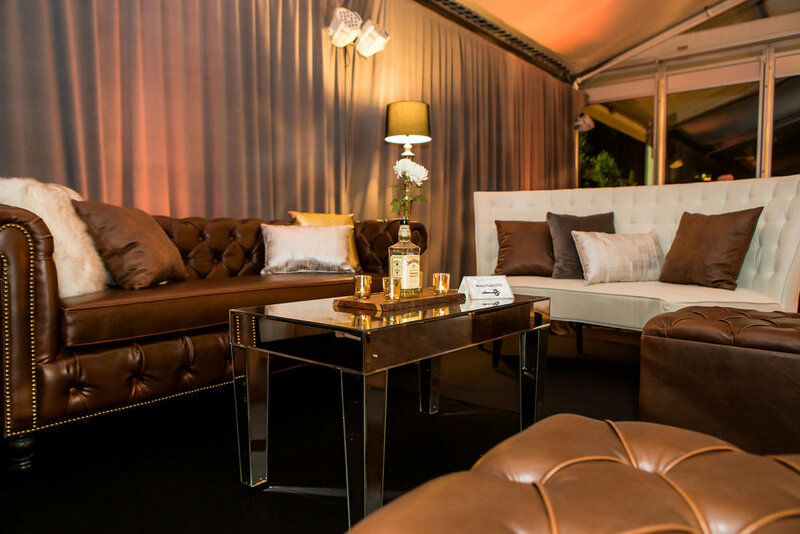 We went with dark brown leather tufted couches and clean white lounge furniture to combine the old and the modern elements to the theme. 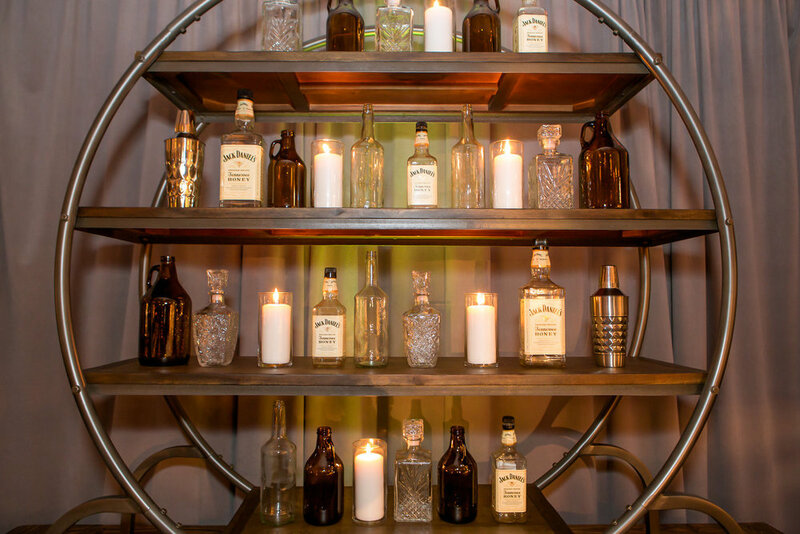 The twenty-four foot long wooden bar was covered in candles and whiskey bottles, which our flair bartenders helped bring to life with Old Fashioneds and fun cocktails. 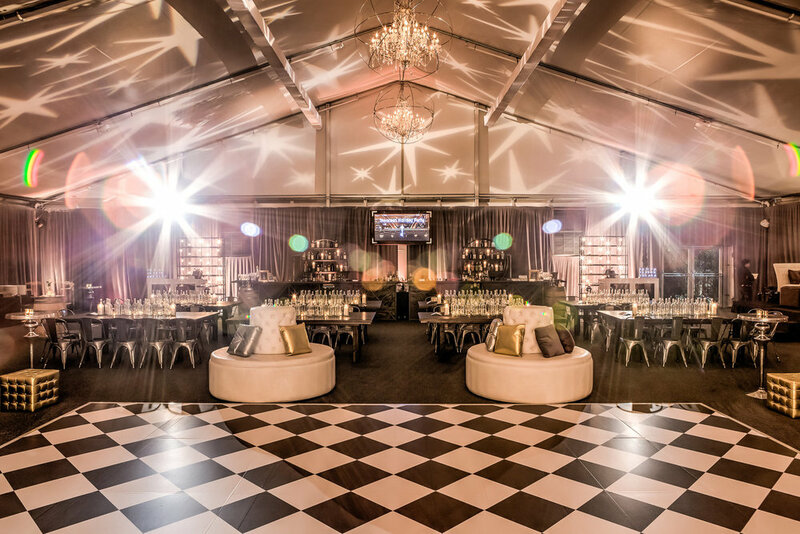 Another major focal point in the room was the custom black and white diamond printed vinyl dance floor which was breathtaking! 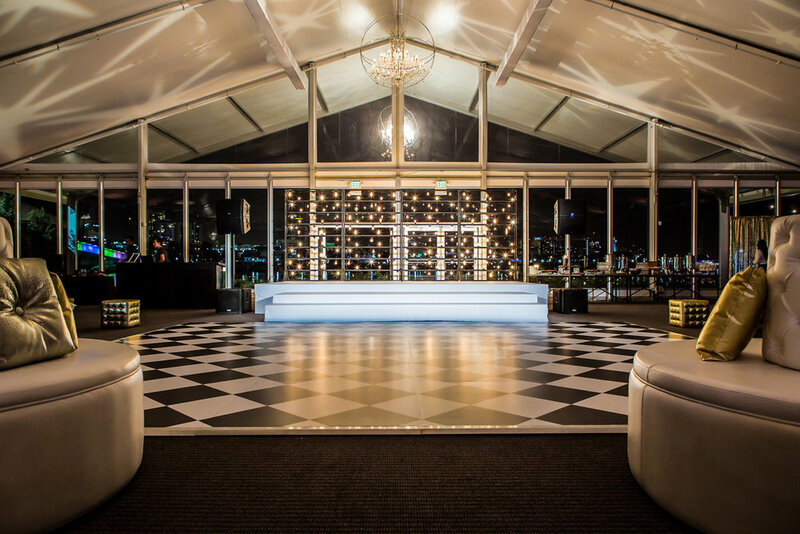 The all white stage with oversized stairs down to the dancefloor wasn’t bad either ; ). 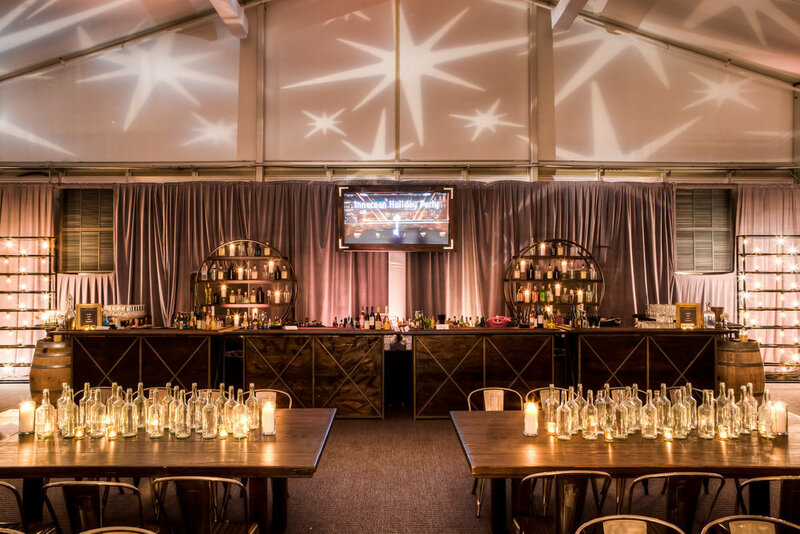 To complete the look, we added Edison Bulb Walls as the stage backdrop to really bring the theme together without obscuring the gorgeous ocean view. 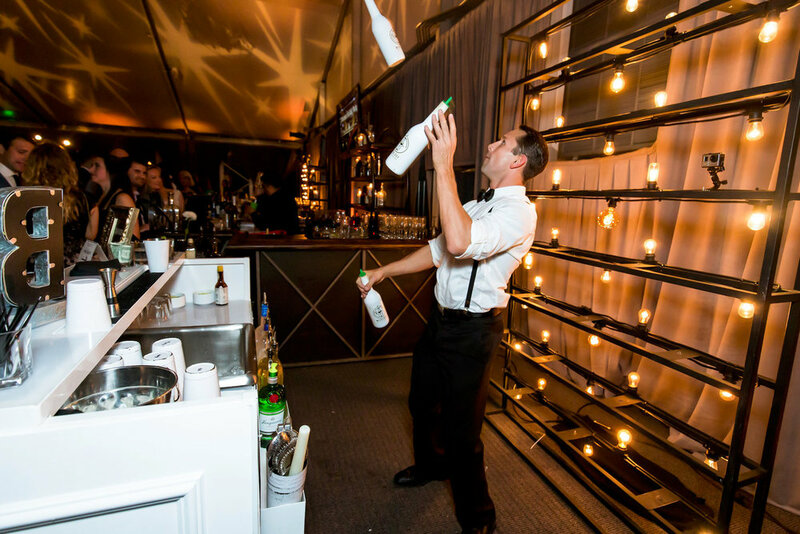 Guests were greeted by an incredible Jazz Band and literally danced under the stars with the custom designed vintage star breakout patterns that covered the entire tent ceiling. It was for sure a night to remember.